How do you keep the magic from page to plate. Why, didn’t you know? By staying true to the Gruffalo! Since they first came to life in those deep dark woods, Julia Donaldson and Axel Scheffler's captivating characters have won the hearts of the nation's children and parents. 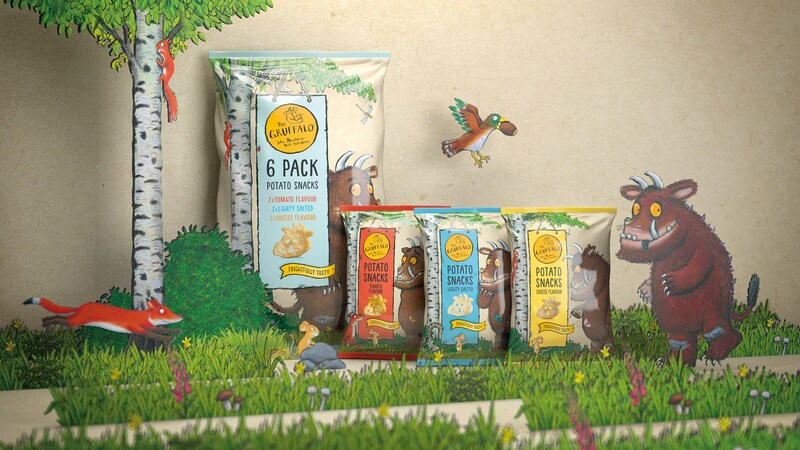 So being tasked with bringing them to life for a new Gruffalo Feasting range of healthy snacks, juices and cereals was a big responsibility. 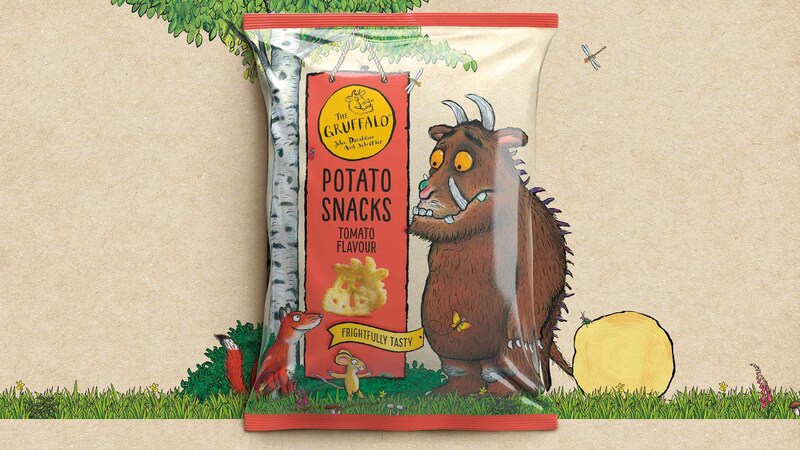 Since they first came to life in those deep, dark woods in 1999, Julia Donaldson and Axel Schefler’s captivating characters have won the hearts of the nation’s children and parents, so being tasked with bringing them to life for a new Gruffalo feasting range of healthy snacks, juices and cereals was - Oh help! Oh no! - a huge responsibility as well as an exciting challenge. Brand owners, Magic Light Pictures, wanted to retain the integrity and credibility of the brand by creating a range of wholesome products and pack designs that would reassure parents while exciting their children. 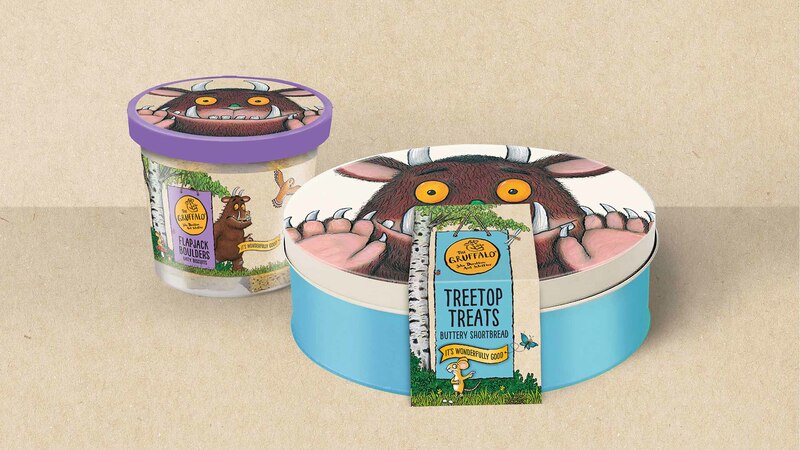 The story, full of favourite foods and rumbly tummies, is perfect for transferring from page to plate and our designs stay true to the original while giving lots of new opportunities for discovery - every time you look at the pack you notice something new, from an owl peeking out from a tree to a mouse cheerfully nibbling a nut. The range is fun and imaginative, of course, but it’s also designed to appeal to gate-keeping parents. The rich colour palette feels natural with a sophisticated yet playful font. Easy navigation is extremely important for time pressured parents and the consistent banner device provides all the key information quickly and succinctly. Wherever possible clear packaging also allows parents to see the quality of the food inside.